Calcium has remained as one of the essential nutrients for humans. One should know well in the time that the deficiency of calcium in old age and at other stages of life, is likely to restrict a person to the bed. One can overcome this deficiency by spending a little (on a daily bases) by adopting homemade preparations. 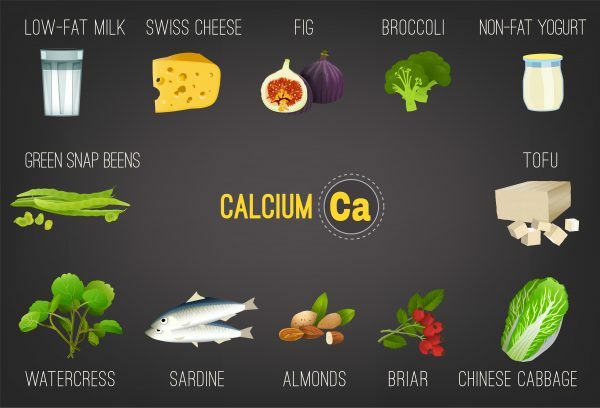 Calcium happens to be essential for healthy bones and teeth. Everybody requires daily between 1000 to 1200 milligrams of the calcium; the pregnant women need between 1200 -1300 mg of it. The calcium deficiency is noticeable in adults, children and old people as well. The lack of calcium can get noticed quickly. With deficient calcium, the probability of bone fracture enhances. The osteoporosis sets at a much earlier age in people with insufficient calcium. The calcium deficiency gets noticed under the following conditions. The muscles: Muscles get built by the calcium and as they get affected the flexibility and stretching ability reduce severally whenever the calcium is deficient. Thighs and shins start to get unbearable pain. It is the sure sign that the calcium amount in the body is indeed not as needed. The Nails: The nails are like the bones, they need to grow and become brittle with a lack of calcium. The nails get marked by mini patches of white marks. The Teeth: The teeth start to pain and become brittle and fall off, and get sensitive. The young children deficient in calcium have the problems and have delayed teething. Tiredness: People with lack of calcium, get tired more quickly, and have trouble sleeping as their muscles and bones start to pain. As a result, they are afraid of something unknown having a built-in fear syndrome for no reason. Women after childbirth: Women after giving birth to the child need extra calcium and usually suffer from pain and weakness. Periods in women: Calcium deficient women suffer and have much pain. Their periods are often getting delayed, and they lose much blood during their confinement. Calcium helps women in the development of Uterus and ovarian hormones. Therefore, the intake of the calcium must be monitored. Falling Sick very Often: The calcium plays a vital role in guarding the immunity system and keeps the automatic breathing system in good condition. With deficient calcium people fall off to sickness pretty often. Hair Falling off: Calcium plays a pivotal role in the growth of the hair, its deficiency leads to dryness of the hair and leads to falling off the hair. Baldness means a severe lack of calcium in the body. With the advancement of age, the digestion becomes poor. Generally, on crossing 30 years the calcium absorption capacity reduces considerably, under these circumstances the danger of lack of calcium in the body becomes a routine matter. Having too many sweets and not having a balanced diet leads to a deficiency of calcium in the body. In 1 1/2 cup of water add 1-inch of Ginger piece, cut into small pieces and heat to boiling the mixture. Add Jaggery 20 grams to reduce pungency. When the water remains just about a glass, bring it down and drink it when cooled enough. For best results eat the ginger as well. Put a teaspoon of Cumin seed in 2 glasses of water and keep it overnight. Boil it until one glass remains. Drink it after sieving it. Have two spoons of roasted sesame seeds ( til ) in the form of any dish like Sweetmeat or sesame gachak or even chapatti. Immerse 2 figs and four almonds overnight and have them in the morning. Have a sprouted moong dal in the late afternoon when having a gentle hunger.